Aerobic power is the ability of the muscles to use oxygen received form the heart and lungs to produce energy. More efficient this process becomes, aerobic power improves. Therefore aerobic power is usually monitored and tested using VO2 max. Maximal aerobic speed (MAS) is simply the lowest running speed at which maximum oxygen uptake (V02 max) occurs, and is typically referred to as the velocity at V02 max (vV02 max). Athletes competing in long distance events (where oxygen is necessary) opposed to anaerobic activities (where oxygen is lower priority for energy production eg. 100m sprint). Long distance walking, running, cycling, swimming and cross-country skiing. Selecting aerobic power tests and protocols for endurance athletes should begin with the persons training preferences. It is recommended to choose maximal or sub-maximal aerobic power tests that ext matches the demands of the sport. Some MAS tests involve linear running, others involve shuttle-based running, some are continuous, others are incremental, and some are steady-paced, whilst others are timed. The 2 km (2000 meters) Rowing Ergo Test is part of the eTID Talent Identification Testing Program for rowing, and their protocol is listed here. There is also a 5km and 500m ergo test. Purpose: This test is designed to completely exhaust all energy production pathways under race conditions. 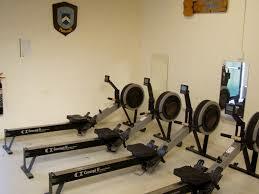 Equipment required: Concept IID rowing ergometer (or equivalent). A specific drag factor needs to be set (see comments below). Procedure: Ensure the correct drag factor is set correctly with the preferred display option selected on screen (see comments below). Ensure 500m splits are set on the PM3/4 prior to the trial. Sit ready to start the 2 km test. The aim of the test is to cover the 2 km in the shortest possible time, and you should be exhausted at the completion of the trial. Experience has shown that better scores are achieved with an even split rather than starting conservatively and then coming home strong, or going out too fast and not being able to complete the distance. Scoring: Record the time taken to complete the 2000 meters in minutes and seconds and the average stroke rate. Estimate the subjects VO2 max using the appropriate population specific equation from the table. Convert absolute to relative VO2 max by dividing subjects body weight into KGs. The athlete’s Aerobic Index is determined by dividing the workload at which the 75% predicted heart rate is achieved by the athlete’s body weight. This test is suitable for sprint and endurance athletes and players of endurance sports (eg football, rugby) but not for individuals where the test would be contraindicated. Lorenz, D.S., Reiman, M.P., Lehecka, B, J., & Naylor, A. (2013). What performance characteristics determine elite versus nonelite athletes in the same sport? Sports Health. 5(6):542-7. doi: 10.1177/1941738113479763.